His MK Dons are low on confidence, but manager Karl Robinson insists their promotion dream is still very much alive, despite losing three in a row. The disappointing 2-0 defeat at home to Preston on Saturday, the third in a week, saw Dons slip to fourth in the table, now four points adrift of the second place they occupied just seven days previous. Twinned with defeats to Coventry and Chesterfield, it’s a run that Robinson openly admitted has dented his players’ confidence. 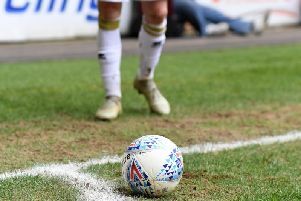 But with 11 games remaining before anything is decided, the manager insists the dream of playing Championship football next season is still very much alive. “There’s still a lot of football to play. Our dream is not over. We understand the frustration of the fans. “The players are lacking confidence, and we’re not frightened of saying that. We’re not going to sit here and deny that. “But that’s human nature. That’s anyone in any walk of life. If they weren’t lacking confidence right now, I’d be questioning their attitude. Preston left stadium:mk on Saturday with a sixth victory in seven - a run which has seen them catapulted into the second automatic promotion spot behind leaders Bristol City. In that time, Dons have been left toiling after injuries to key first teamers David Martin, Dele Alli and George Williams, tasting defeat in five out of their last seven. But with returns for Martin and Alli on the horizon, Robinson believes if he can keep his key players fit, there’s nothing stopping Dons from emulating Preston’s run. He said: “If we turn up, we can win five or six games on the spin. If we get everybody fit, we can beat anybody in this league. We don’t fear anybody. Dons take on Walsall at the Banks’s Stadium on Saturday.